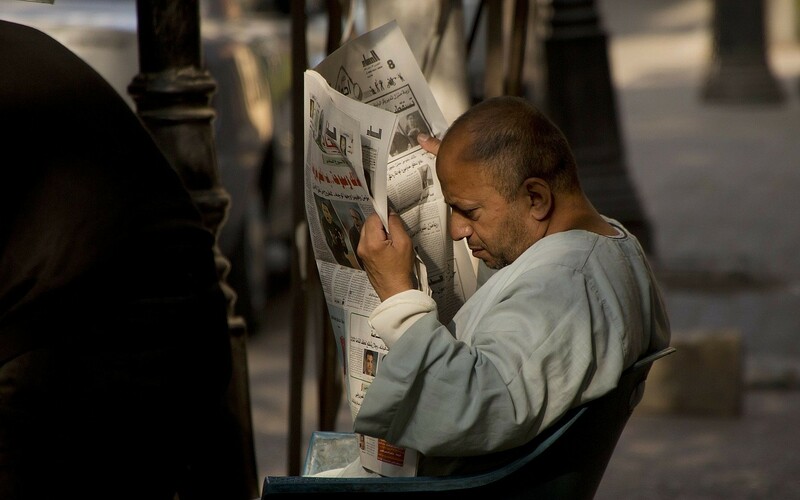 CAIRO (AP) — Egypt’s most popular daily has sacked its chief editor amid a crisis over the paper’s coverage of last month’s presidential election, which critics have dubbed undemocratic, in the latest blow to freedom of the press in Egypt. The dismissal note for Mohammed el-Sayyed Saleh was signed by Al-Masry al-Youm’s CEO Abdel-Moneim Said, and was dated April 4. It was widely circulated on social media on Friday and the paper’s journalists, speaking on condition of anonymity because they weren’t authorized to speak to the media, confirmed its authenticity. The dismissal note did not include reasons behind the sacking and only said, “it has been decided to end the assignment” of Saleh as a chief editor. Saleh was referred for questioning, while Egypt’s state prosecutor opened an investigation into the paper’s election coverage. The state-run Supreme Council for Media Regulations fined the paper 150,000 Egyptian pounds ($8,400) and demanded it publish an apology. The paper, which had changed the contentious headlines in second editions, ran an apology on Monday. Al-Masry Al-Youm is owned by Egyptian tycoon Saleh Diab who in 2015 was briefly arrested over corruption allegations. The incident was seen as a warning from authorities. 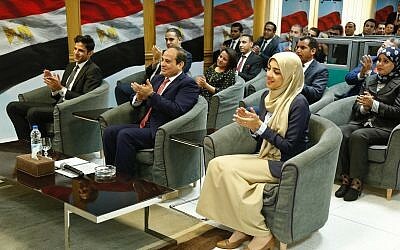 In the March balloting, President Abdel-Fattah el-Sissi was re-elected for a second term, getting 97 percent of the vote in a virtually one-man contest, with only one obscure politician running after all serious challengers were arrested or pressured to withdraw from the race. Since the ouster of el-Sissi’s predecessor, Islamist President Mohammed Morsi, in 2013 following mass protests against his divisive rule, authorities have waged an unprecedented crackdown on political dissent and media. Thousands have been jailed, including journalists. Protests have been banned, hundreds of websites blocked, and freedom of press has largely been curbed. Days before the election, authorities expelled British journalist Bel Trew after arresting her and threatening her with a military trial. Also this week, Adel Sabri, the chief editor of Masr al-Arabia independent website, was arrested. He faces allegations of membership in the outlawed Muslim Brotherhood, publishing false news, and managing an unlicensed website — typical allegations against government critics. Masr al-Arabia was also fined 50,000 Egyptian pounds (nearly $3,000) for publishing an Arabic translation of a New York Times report saying voters were offered cash, food and promises of better services in exchange for casting ballots. Reporters Without Borders has ranked Egypt as 161 out of 180 countries on their 2017 World Press Freedom Index.